The enterprising tipster who sent us the image of a Verizon Pre 3 has one more device to show you: the above device that by all appearances is a webOS device without a keyboard. Our best guess is that it has a screen resolution of 480x800. 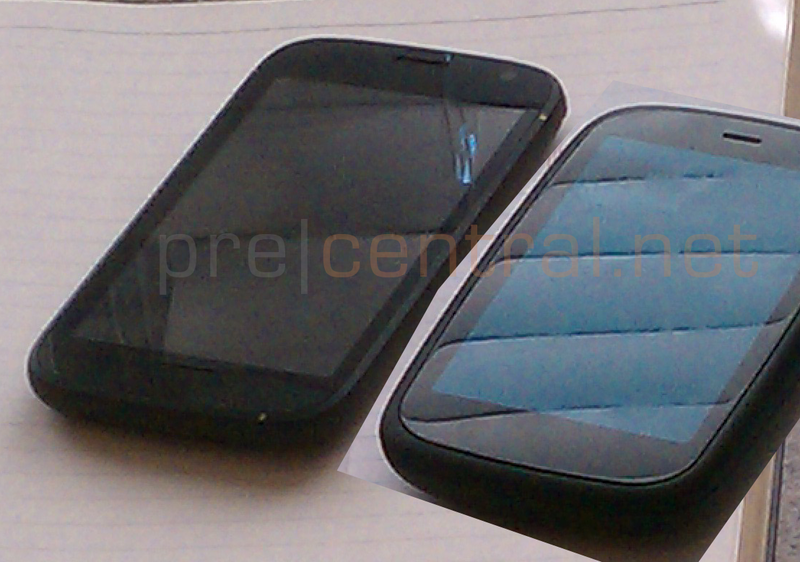 There also appears to be a front-facing camera, although it could simply be a proximity sensor. We have three un-assigned webOS codenames floating out there - Mansion, Stingray, and Windsor. We originally pegged the Mansion as a 480x800 slate-style device, but that early rumor/codename has since gone cold. However both Stingray and Windsor both made appearances in webOS code next to the Mantaray (the Pre 3) and Broadway (the Veer). Our money is on Stingray if only because it seems related to the Stingray and this device looks like a Pre 3 without the slide-out keyboard. While we are quite confident that the image is legit, unfortunately we don't have a lot of confidence in any further information. Is the device coming or is it simply a prototype that has been canned? 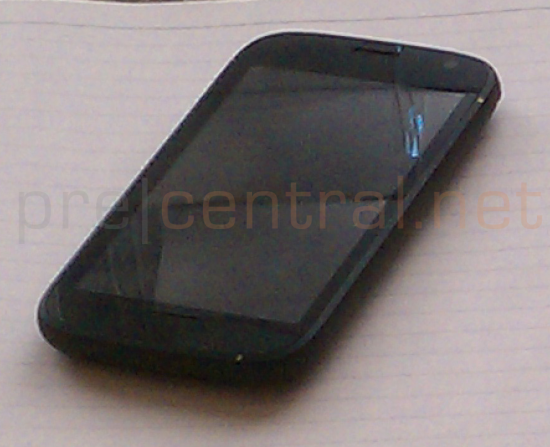 Our tipster described it as "an EVO with webOS" and suggests it simply has yet to be announced. After the break we have another version of the image in which we cropped over a Pre 3 from the same photo to give a better sense of scale.